Cathy Crimmins, author, died on Friday, September 4 at Thomas Jefferson University Hospital in Philadelphia of complications from an injury. She was 54. An award-winning and prolific writer, Ms. Crimmins published more than 20 books and numerous magazine articles over the course of her career. She got her start as a social satirist and humorist with an article in the Philadelphia City Paper in 1983 about "young aspiring professionals," which inspired her first book, YAP: The Official Young Aspiring Professionals Fast-Track Handbook. She trained her biting wit and unerring eye for social trends on subjects ranging from motherhood to Madonna to Newt Gingrich. She co-wrote Rain Pryor's autobiography, Jokes My Father Never Taught Me, which was nominated for an NAACP Image Award in 2007. She also chronicled her family's journey through illness and injury in two affecting and deeply personal memoirs. Her book, Where Is the Mango Princess?, published in 2000, tells the harrowing story of her husband's traumatic brain injury (TBI) and its aftereffects. Her brutally honest account of the impact of brain injury on survivors and their families made Ms. Crimmins an acclaimed speaker and advocate for TBI families and earned the Outstanding Book Award for General Nonfiction from the American Society of Journalists and Authors. In her newly published memoir A Mother's Nightmare: A Heartrending Journey into Near-Fatal Childhood Illness (St. Martin's Press, August 18, 2009), she writes of her daughter's three-year battle with a life-threatening autoimmune liver disease. Born August 22, 1955, in East Orange, New Jersey, Ms. Crimmins grew up in Hunterdon County, New Jersey. She graduated from Douglass College in 1976 and earned a master's degree in English from the University of Pennsylvania, specializing in medieval literature. 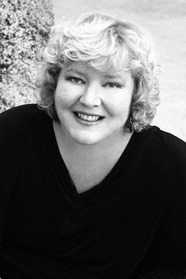 Prior to launching her publishing career, she taught non-fiction writing at Penn for several years and worked as a copywriter for the Burpee Seed Company. She is survived by her daughter Kelly Crimmins, mother Elizabeth Lancaster, sister Deborah Crimmins, brother-in-law Paul Goerss, niece Eleanor Goerss, former husband Alan Forman and scores of loving friends. She was preceded in death by her father, David Crimmins.